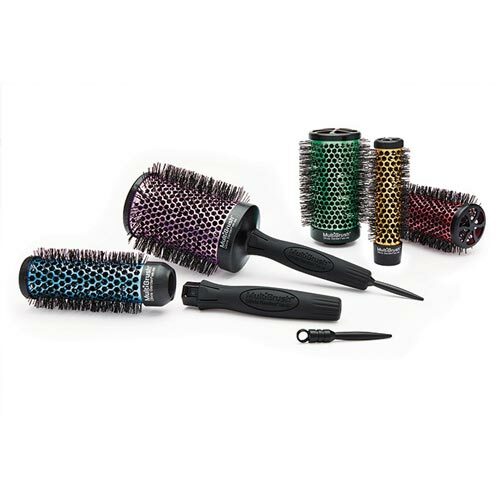 The new line of brushes NANO Olivia Garden consists of 5 new THERMIC brushes read 24 18 34 ergonomic: Ø 54 mm, 44,,,. The cylinder heats twice as fast and retains heat longer. Provides antibacterial protection. The hair is healthier and easier to brush off. Has extra large vents to obtain an increased flow of heat and a reduction in the drying time. 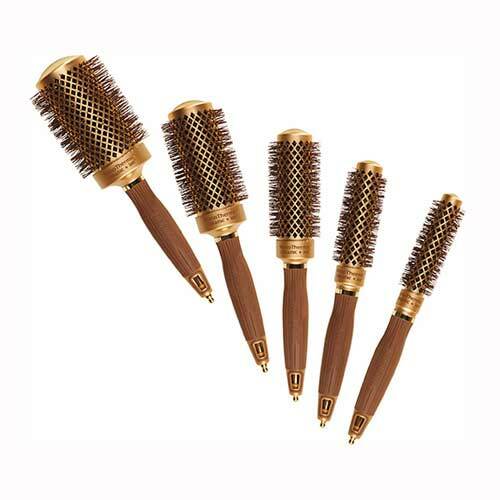 Heat-resistant special wavy bristles for better control of the hair. 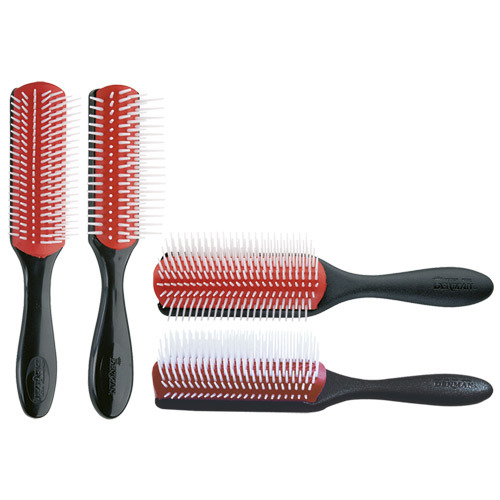 Soft-tip bristles delicate into hair and scalp. Patented design, lightweight and ergonomic.